Reduce Cost, reduce waste and improve transit stability by column stacking. 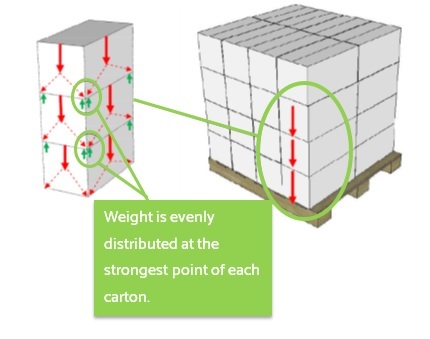 Weight is evenly distributed at the strongest point of each carton. 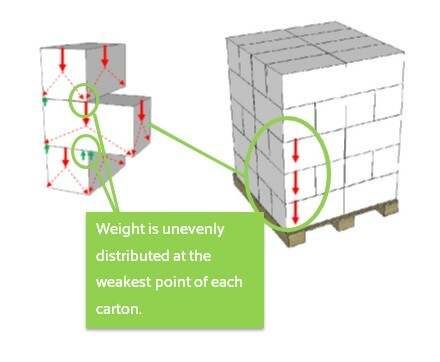 Weight is unevenly distributed at the weakest point of each carton. Column Stacking improves carton performance by 25-30%. Unsure how column stacking will work for you? Contact us to speak to one of our packaging consultants today. Our Lean Integrated Packaging Survey identifies all the ways you can reduce costs, reduce waste and increase stability and efficiency in your packaging operations. Why not book yours today? It’s free! Previous post How to wrap a pallet in 7 easy steps!